12:03 p.m. South Oakland, Pittsburgh, PA 15213. Pitt police assisted city police with a sexual assault report at a private residence. 12:08 a.m. 100 Atwood Ave., Pittsburgh, PA 15213. Pitt police cited a student for public urination. 12:39 a.m. Forbes Avenue and Atwood Street, Pittsburgh, PA 15213. Pitt police arrested a non-affiliated person on charges of possession of a small amount of marijuana and drug paraphernalia. 2:09 a.m. Fifth Avenue and Atwood Street, Pittsburgh, PA 15213. Pitt police arrested a non-affiliated person on charges of driving under the influence. 4:29 p.m. Sutherland Hall 3725 Sutherland Drive, Pittsburgh, PA 15213. Pitt police cited a student for underage drinking. 9:13 p.m. Sutherland Hall 3725 Sutherland Drive, Pittsburgh, PA 15213. Pitt police responded to a report of a criminal mischief. 11:33 p.m. Sutherland Hall 3725 Sutherland Drive, Pittsburgh, PA 15213. Pitt police cited a student for underage drinking and disorderly conduct. 12:14 a.m. Phi Kappa Theta 3725 Sutherland Drive, Pittsburgh, PA 15213. 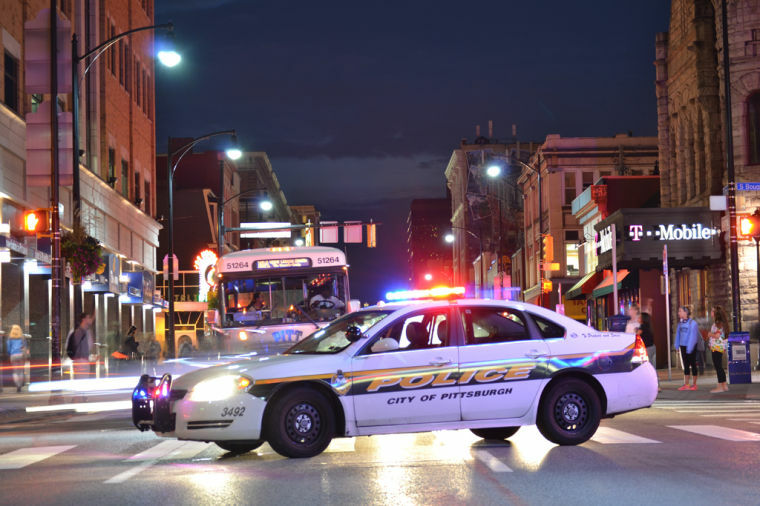 Pitt police responded to a report of an alcohol law violation. The fraternity was referred for judicial action. 12:17 a.m. Pennsylvania Hall 3825 University Drive C, Pittsburgh, PA 15213. Pitt police cited a student for underage drinking. 2:13 a.m. Litchfield Tower B 3990 Fifth Ave., Pittsburgh, PA 15213. Pitt police cited a student for underage drinking. 2:39 a.m. Litchfield Tower B 3990 Fifth Ave., Pittsburgh, PA 15213. Pitt police responded to a report of a drug law violation. Three students were referred for judicial action. 8:51 p.m. 4000 block of Allequippa Street, Pittsburgh, PA 15213. Pitt police responded toa report of a drug law violation. Two students were referred for judicial action. 10:18 p.m. Sutherland Hall 3725 Sutherland Drive, Pittsburgh, PA 15213. Pitt police arrested a student on charges of possession of a small amount of marijuana and drug paraphernalia. 1:08 a.m. Detre Hall 3811 O’Hara St., Pittsburgh, PA 15213. Pitt police cited a non-affiliated person for harassment. 12:17 p.m. Fifth Avenue and Atwood Street, Pittsburgh, PA 15213. Pitt police arrested a non-affiliated person on charges of possession of a small amount of marijuana. 8:32 p.m. 3400 Forbes Ave,. Pittsburgh, PA 15213. Pitt police responded to a warrant arrest of a non-affiliated person. 8:21 a.m. Cathedral of Learning 4200 Fifth Ave., Pittsburgh, PA 15260. Pitt police responded to a report of a stolen wallet. 8:45 a.m. Posvar Hall/Forbes Quad 230 S Bouquet St., Pittsburgh, PA 15213. Pitt police responded to theft of money. An investigation is pending. 5:19 p.m. Halket and Louisa streets, Pittsburgh, PA 15213. Pitt police confiscated drug paraphernalia during a traffic stop. 7:06 p.m. Forbes Avenue and Atwood Street, Pittsburgh, PA 15213. Pitt police cited a non-affiliated person for public drunkenness. 7:49 p.m. 3600 Forbes Ave., Pittsburgh, PA 15213. Pitt police assisted city police with a retail theft. 4:23 p.m. 3700 Forbes Ave., Pittsburgh, PA 15213. Pitt police cited a non-affiliated person for panhandling. 4:37 p.m. Bayard Street, Pittsburgh, PA 15213. Pitt police responded to a report of a stolen sorority sign. An investigation is pending. 5:12 p.m. Trees Hall 140 Allequippa St., Pittsburgh, PA 15261. Pitt police responded to a report of a missing credit card and cash. An investigation is pending. 4:25 p.m. Public Safety Building 3412 Forbes Ave., Pittsburgh, PA 15213. Pitt police assisted Baltimore police with an identity theft. 5:38 p.m. Semple Street, Pittsburgh, PA 15213. Pitt police responded to a report of a student receiving harrassing text messages. An investigation is pending. 7:59 p.m. U Lot 3725 Sutherland Drive, Pittsburgh, PA 15213. Pitt police responded to a report of a stolen parking boot from the University parking authority. An investigation is pending. 11:40 p.m. 3900 Forbes Ave., Pittsburgh, PA 15213. Pitt police cited a student for underage drinking and public drunkenness. 12:18 p.m. Forbes Avenue and Bouquet Street, Pittsburgh, PA 15213. Pitt police cited a non-affiliated person for public drunkenness.